The wheat in the field opposite us had turned a beautiful golden colour and with all the sunshine was ready for the big cut. 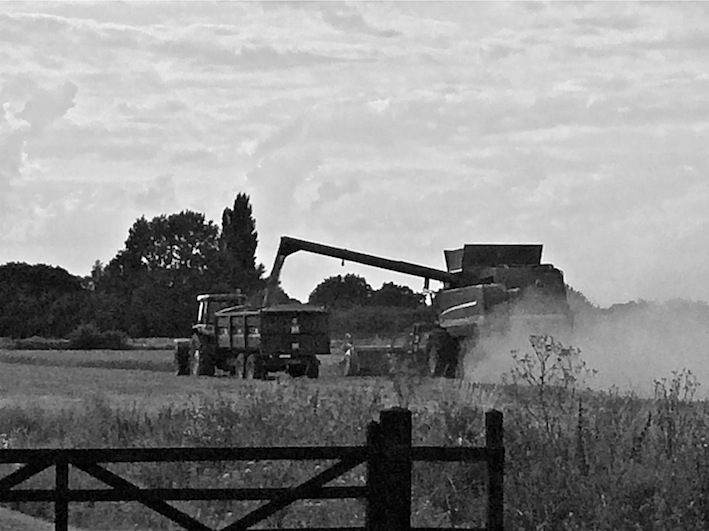 On the way home last night we were greeted by the big combine harvester, which worked steadily up until about 10pm. They can carry on in the dark with the aid of the big headlights, infact he finished one field and then move on to finish a field at the back of us and you could see the lights sweeping up and down the field. 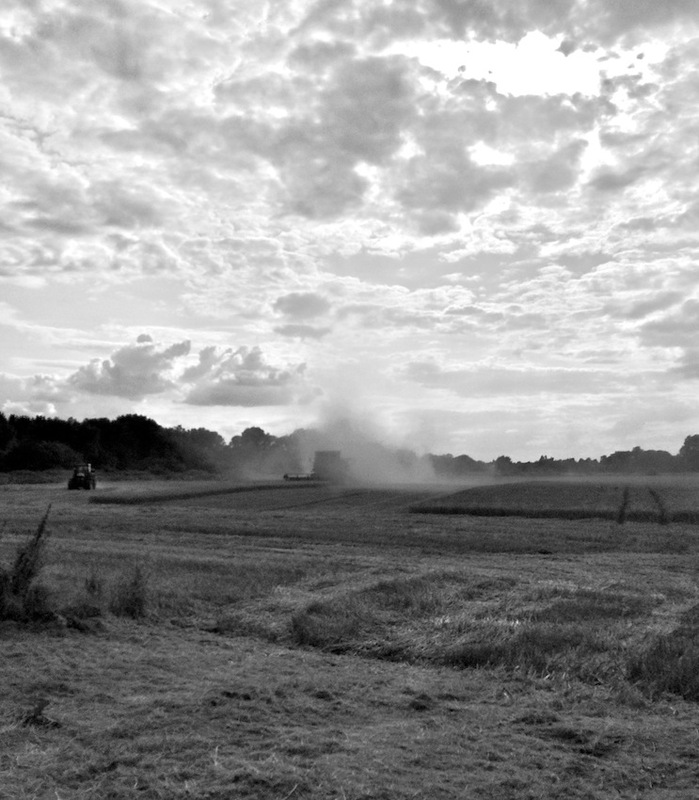 By the time we came home tonight all the fields had been cut and all in the dry. The photos are not that great because I used husbands phone, although I did have my camera, the battery was flat…..so iPhone to the rescue. 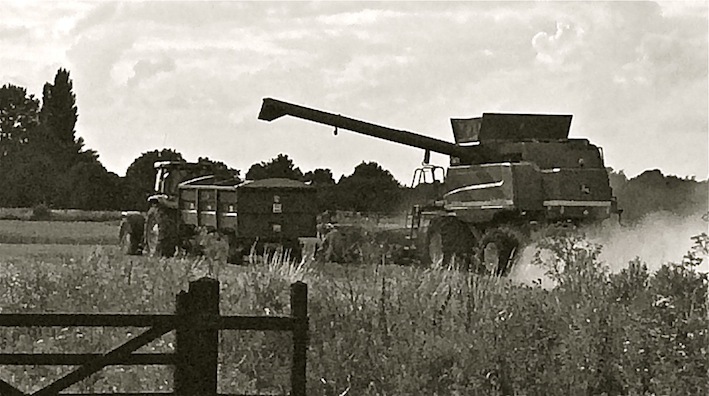 But the colour was awful, so hence the black and white photos, which are ok because they are for my occupation category…..Bringing in the Harvest. I like the pics – the sepia has worked especially well. I remember the machines working well into the darkness in Shropshire too, the noise seemed to go on all night.